I know I haven't been home from my holiday very long, but I enjoyed it so much I've just booked a return trip. It's not until Christmas, so it feels a long way off yet. Mind you given the amount of Christmas stock I see sneaking onto the supermarket shelves, perhaps it will be here quicker than I think. I'd started working on a new novel when I was away. I know I really should be finishing the edits on my current works in progress first, but what can I say, I was inspired. The words kept springing into my head and obviously I just had to write them down. I'm hoping to feel equally inspired on my return trip so I can find the ending for the novel. So if you think about it, this means that my return trip to Fuerteventura isn't really a holiday at all. It's all research. Every part of it, including sitting on the beach, paddling in the sea, lounging by the pool, exploring the local market and meeting new people. It's absolutely all research for the novel. Honest. I’ve always loved the beach. There’s nothing like the feel of the sand between my toes and my hair blowing in the sea breeze. I have fond memories of my childhood summer holidays when we packed Dads tiny Peugeot 205 full of camping gear and headed to the seaside. The drive always seemed to take forever to get there and the tent felt too small with my whole family crammed in, but it was all worth it to spend long days building sandcastles and swimming in the sea. Having just returned from the Barceló Fuerteventura Thalasso Spa Hotel I can safely say whilst I am never going back to camping again, I would love to return to the lovely Barceló. It was a truly wonderful holiday. The hotel was exceptionally clean, the poolside was lovely, spacious and with plenty of sun loungers for everyone. I would like to say thank you to the wonderful, helpful, friendly staff who helped to make my holiday so enjoyable, particularly Binta, Carlos and Daniel. The Barceló was a perfect haven for me to edit my latest novel; a character led thriller. 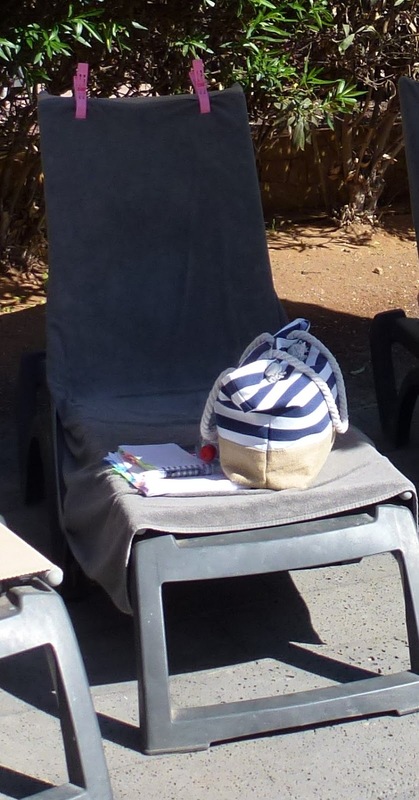 However, sitting on my sun lounger beside the pool basking in the sunshine, okay shade (I burn easily), seems a strange place to write something so dark. Then again, based on the looks I got as I sat scribbling in my notebook each day, I think the general consensus is it was a strange place to write anything at all. A few people asked if I was doing course work, but mostly they just stared. Who knew I was so interesting? I guess whilst reading a novel by the pool is the norm, writing one isn’t. That said however, it might not be as unheard of as I first thought… Over the last couple of years I’ve met a lot of authors at conferences, events, and through social media, I had however never met one at a pool side before. It was lovely to meet K S Stanley and his wife, who ironically were sitting beside me. Author of The Holmbury County Seat War and The Siege of Morton's Cross, K S Stanley was also busy working on the edits for his latest novel.